To add an additional teacher to a teaching group at a given time. Navigate to the timetable of the teacher you wish to add. Access 'Make Editable' via the 'Actions' menu. 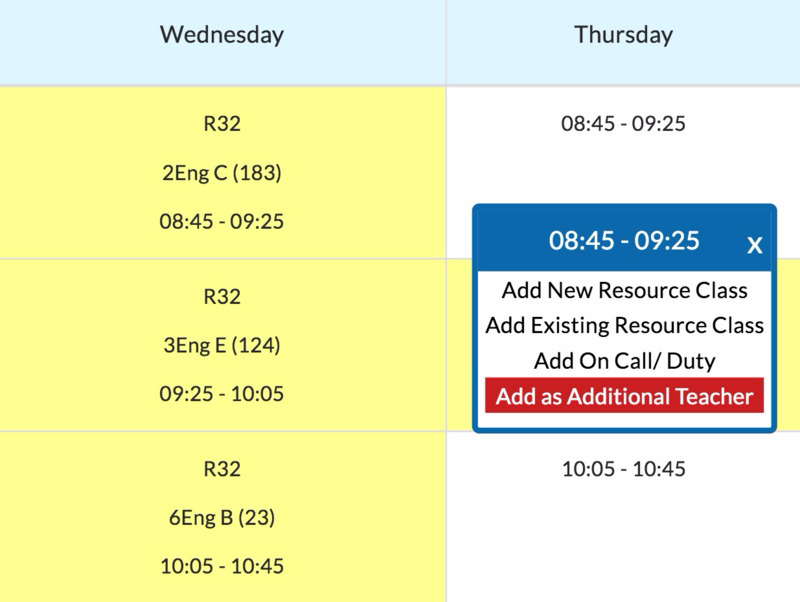 Click on the empty cell where you wish to add team teaching and select 'Add as Additional Teacher' from the menu as shown below. 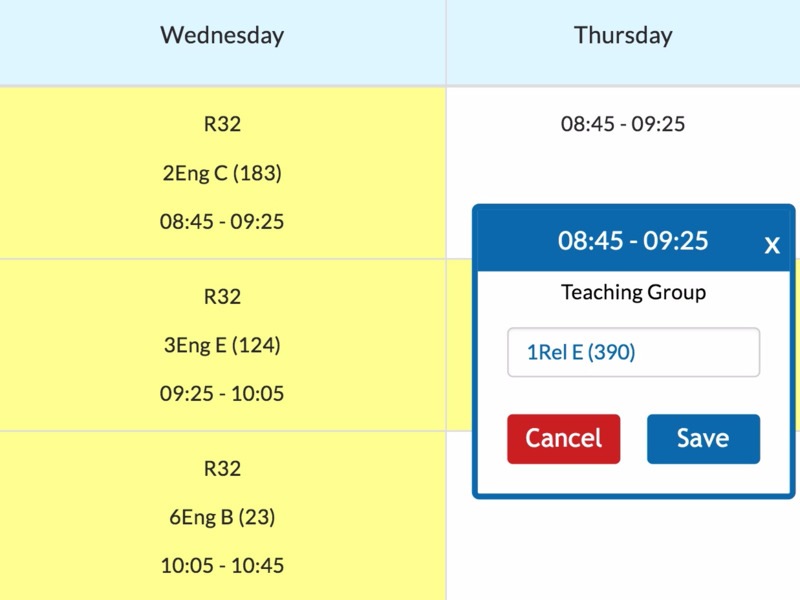 This will let you select which teaching group, scheduled at that time you wish to add the teacher to. Select the teaching group you want from the menu as shown below and click 'Save' to confirm the edit. We can use "Add as an Additional Teacher' to make up the timetable for any teacher who will be teaching in the capacity of Trainee Teacher. This includes those studying under the Professional Masters in Education (PME) programme. Add these teachers to VSware in the normal manner and then go to their Personal Profile and change their Capacity to 'PME Student'. This will prevent the software from including these teachers in September Returns.